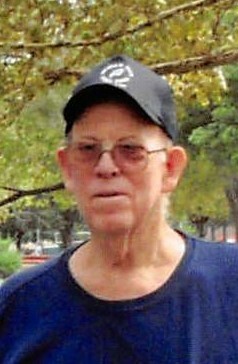 Thomas Wayne Bridgewater, age 80, of Quincy, Illinois and formerly of Beardstown and Liberty passed away at 1:30 a.m. Wednesday, March 20, 2019 at Blessing Hospital in Quincy, Illinois. He was born May 24, 1938 in Brown County, Illinois the son of Lloyd Otto and Garnet Smyers Bridgewater. He married Mary E. “Betsy” McClelland on May 6, 1960 in Mt. Sterling, Illinois and she survives. Mr. Bridgewater worked as a fork lift operator for Rich Lumber Company in Beardstown for many years. Tom was a graduate of Brown County High School. Survivors include his wife Mary E. “Betsy” Bridgewater of Quincy, Illinois. 4 children Karen Eichen (Jerry) of Carlinville, Illinois, Kent Bridgewater of Fowler, Illinois, Diana Kay Jackson of Rushville, Illinois and Teresa Self (Donnie) of Rushville, Illinois. 4 brothers Henry Bridgewater (Grace), Ray Bridgewater, Walter Bridgewater (Jenny) and John Bridgewater. 6 grandchildren Robin, Andrea, Derek, Kaleb, Kristopher and James. 2 step grandchildren Rhonda and Amber and 14 great grandchildren also survive along with several nieces and nephews. He was preceded in death by his parents, 2 brothers Lloyd and Gene Bridgewater, 3 sisters-in-law Chris, Shirley and Alita and 1 daughter-in-law Christine Bridgewater. Graveside services will be held at 11:00 a.m. on Tuesday, March 26, 2019 in the Versailles West Side Cemetery with Pastor Fred Fritz officiating. Memorials are suggested to Brown County Against Cancer or the Alzheimer’s Association.